The RotoSaw's compact, lightweight construction and ergonomic body are specifically designed to tackle plunge and freehand cuts in nearly any building material. It is compatible with all XBits, Zip<sup></sup>Bits and XCores as well as the Circle Cutter Guide and the Dust Management Kit. The Stylo+ offers the precision you expect from a Dremel rotary tool, packaged into a sleek, lightweight design. Crafted with the comfortable ergonomics of a pen, the narrow profile and soft grip of Stylo+ allow creative users to etch, engrave, polish and sand with ease. You will enjoy an endless range of creative applications with this versatile craft tool. The tool's variable speed ranges from 5,000 to 22,000 RPM, providing the optimal speed control for applications such as glass etching, leather burnishing, bead making, wood engraving and more! Dremel Stylo+ comes with a two-year warranty. 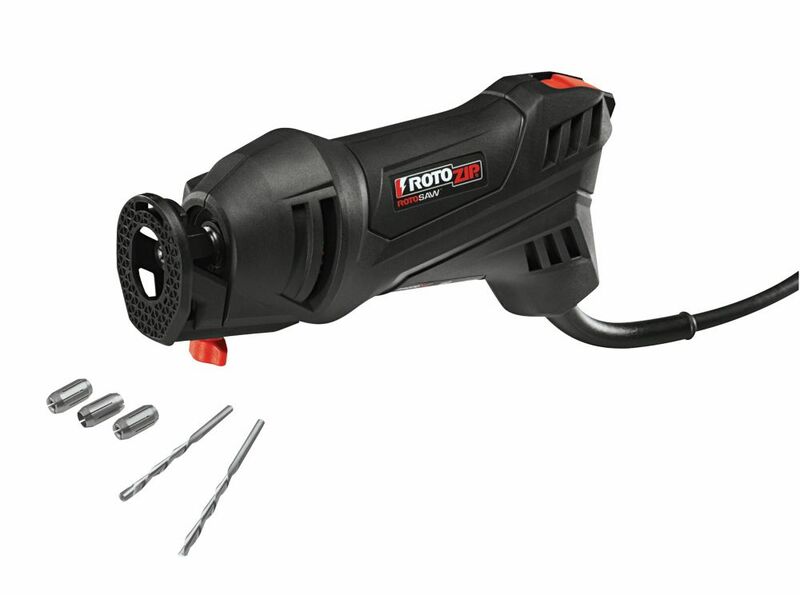 Rotozip 5.5 Amp High Speed Spiral Saw System with 2 Accessories The RotoSaw's compact, lightweight construction and ergonomic body are specifically designed to tackle plunge and freehand cuts in nearly any building material. It is compatible with all XBits, Zip<sup></sup>Bits and XCores as well as the Circle Cutter Guide and the Dust Management Kit.